A second dolphin death has been reported on the First Coast in the span of 24 hours. The 16th dead dolphin is about a 4-feet-long calf that was recovered last night by FWC along the banks of the St. Johns River near Mayport. So far, there are no signs of external trauma or human interference. A necropsy will be completed in the upcoming days to determine what the dolphin died of. A Florida Fish and Wildlife Conservation Commission biologist said that so far this year, there have been 16 dead dolphin/whale deaths investigated by the FWC in Northeast Florida. In an average year, there are about 30 deaths. 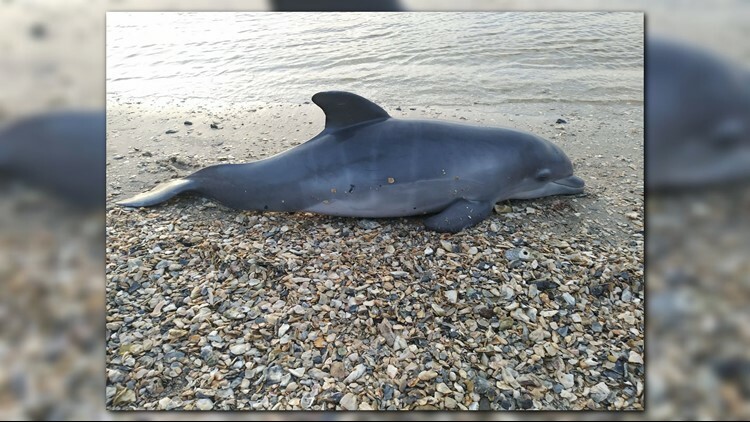 The 15th reported dolphin death was found near Bartram Island along St. Johns River. The dolphin was found tangled in blue netting used for crab hunting. It also looked like some type of watercraft struck the dolphin.